Spanning more than 4,000 square kilometers on the Canadian-US border, Glacier National Park is nicknamed the “Crown of Continent”. This massive region is home to a virtually pristine ecosystem and is the headwaters for streams that flow into the Pacific Ocean, Gulf of Mexico and Hudson Bay. Within the borders you’ll also find more than 100 named lakes, two different mountain ranges, more than a thousand species of plants and hundreds of types of animals. Today, virtually all of the historically known plant and animal species are still present. There are more than 1,000 km (700 miles) of trails inside Glacier National Park and a vast majority is categorized as back country, ensuring there is always something to be explored and making Glacier a truly spectacular area to hike. It was named after the slow-moving glaciers that have carved the varied landscape – from the deep valleys to the alpine terrain and prehistoric forest. The rocks within Glacier National Park also represent some of the best-preserved Proterozoic sedimentary rocks in the world – and thus some of the finest records of early life. Glacier isn’t located near any major cities – which encourages the pristine air and water quality, but can make the park difficult to access. As the park spans such a large area, the first step is to plan which entrance you want to access. The main road in Glacier is Glacier Route 1/Going-to-the-Sun Road. This is the only road that goes deep into the park and cuts it in half from east (Route 89) to west (Route 2). On the southern border Route 2 travels through Glacier Park Village to West Glacier before continuing west on Glacier International Airport. 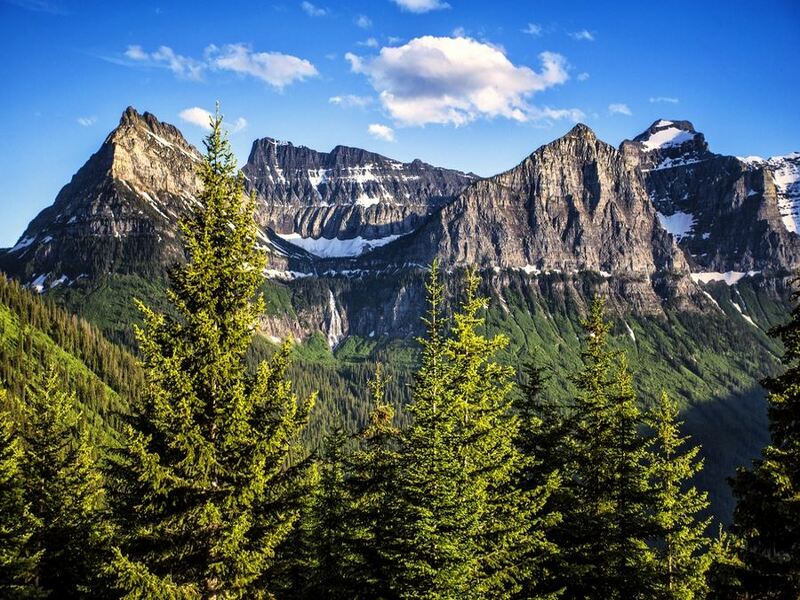 Here we’ll take you through the basic overview of hiking in Glacier National Park – including how to get there, where to stay, where to eat, what to see and what to watch out for. Glacier National Park has multiple entrances. To access the West Entrance, fly into Glacier Park International Airport, located near Kalispell, approximately 50 km (30 miles) west of Glacier. As well, Missoula International Airport is approximately 240 km (150 miles) south of the west entrance, Great Falls International Airport is roughly 320 km (200 miles) from the West Entrance, 210 km (130 miles) from the East Glacier Park Entrance and 265 km (165 miles) from the St. Mary Entrance. All of these airports serve both regional and international airlines and offer car rental on site. 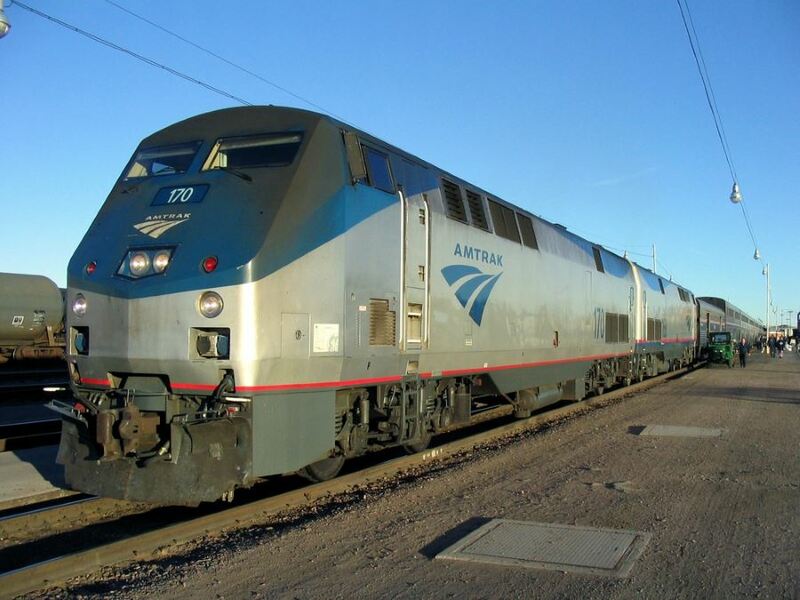 Another option is to the take the Amtrak Empire Builder Train which runs as far east as Chicago to as far west as Seattle and Portland. This route makes stops at the East Glacier, West Glacier, and Whitefish train stations and offers stunning views of the northwestern wilderness. Though Glacier is open year round, the timeline for visitors to Glacier National Park is much like the native bears – hibernating for nearly 8 months. The park’s geography – straddling the Continental Divide – creates two different climates: warm, wet Pacific air coming from the west and cold, dry Arctic air from the northeast. The western valleys in Glacier typically receive the most rainfall, but also can reach up to 30 degrees Celsius in summer. On the eastern side, strong winds and sunny days are common. 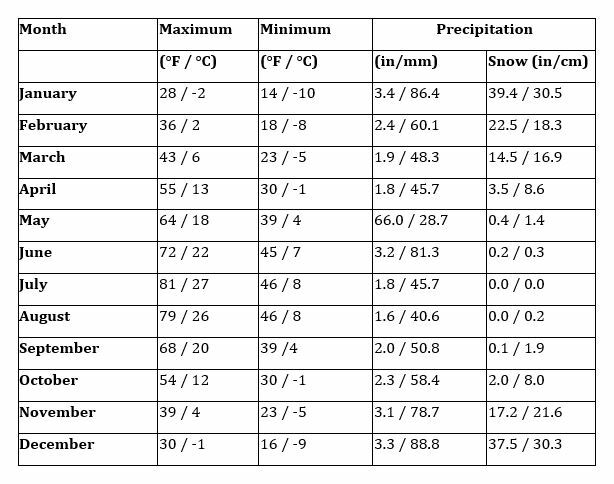 In general, cold weather and short days make the fall, winter and spring season less popular times to visit. Summer – specifically July and August are the most popular, with as more visitors during this time than the rest of the ten months combined. However late spring and early fall can provide the perfect combination of mild(ish) weather and low crowds. As well, there are a number of winter sport activities. During the springtime (the middle of May to the end of June in Glacier) the flowers are blooming, animals and their young emerge from their winter slumber and the lakes and waterfalls are at their fullest. The crowds haven’t settled in yet, you can start to think about camping outdoors, but hiking is still limited to the low country. During the summer season hiking is in full swing – as well as a number of other activities. During this time almost all the trails are open, the weather is warm (especially in the low country it can reach up to 30 degrees Celsius) and the flora is flourishing. However, some roads and trails, especially in the higher elevation can have snow and/or be closed into July. Make sure to check closure information while planning your trip. Once September arrives, the number of visitors significantly decreases and the park tends to attract many more locals. At this time the weather is still mild and the animals continue roaming the area. The leaves also start to change, providing a rainbow of colors to blanket the rugged landscape. In winter most roads are closed and access to the park is severely limited. Most visitors just come for a day trip to snowshoe or cross-country ski from the nearby Whitefish Mountain Resort. If you plan on going in the backcountry you have to obtain a permit and be well versed in avalanche safety. 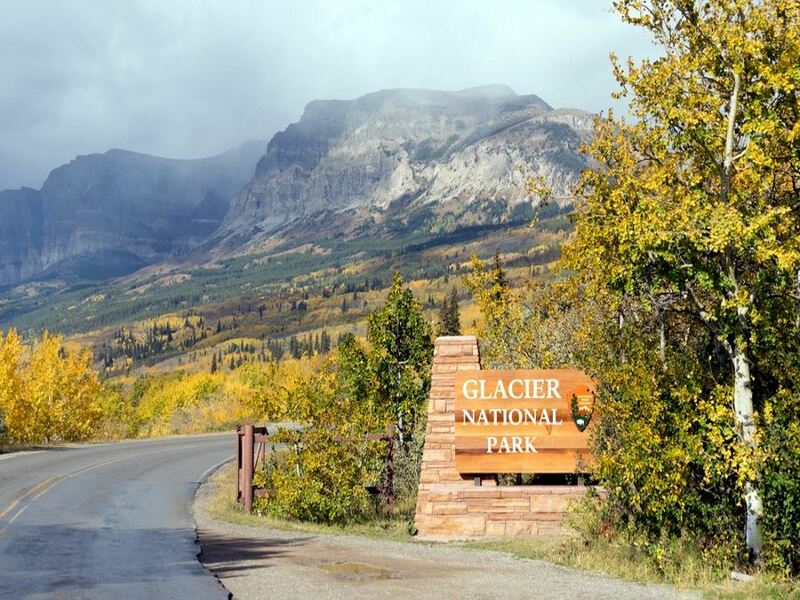 The easiest way to get around Glacier National Park is with a private vehicle. However, be aware that in the busy summer months parking at many trailheads is limited. Arrive early for easy access. If you don’t have access to a car, however, there are still a number of shuttle services available – though most only during the peak summer season. 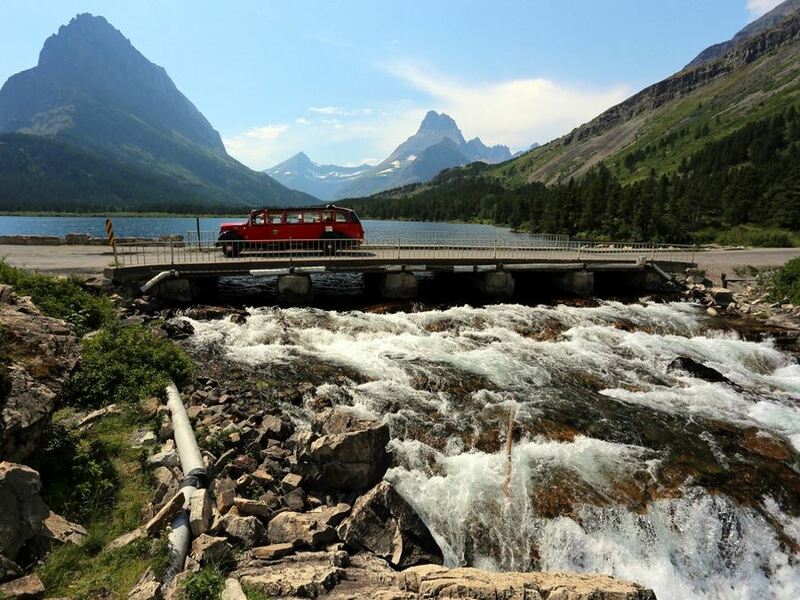 The free shuttle service provided by the park connects Apgar Visitor Center and St. Mary Visitor Center through Going-to-the-Sun Road. You can find more information about other free shuttles, as well as guided tours, such as the iconic red bus tours. To get to the hikes we list you will need a car. There are eight seasonal lodging options to choose from within Glacier National Park, as well as 13 drive-in campgrounds. Typically, these are classic lodges are meant to reflect the 20th century heritage of the park, although they vary greatly on the spectrum of luxury to budget-friendly. The largest hotel inside the park is the Many Glacier Hotel. 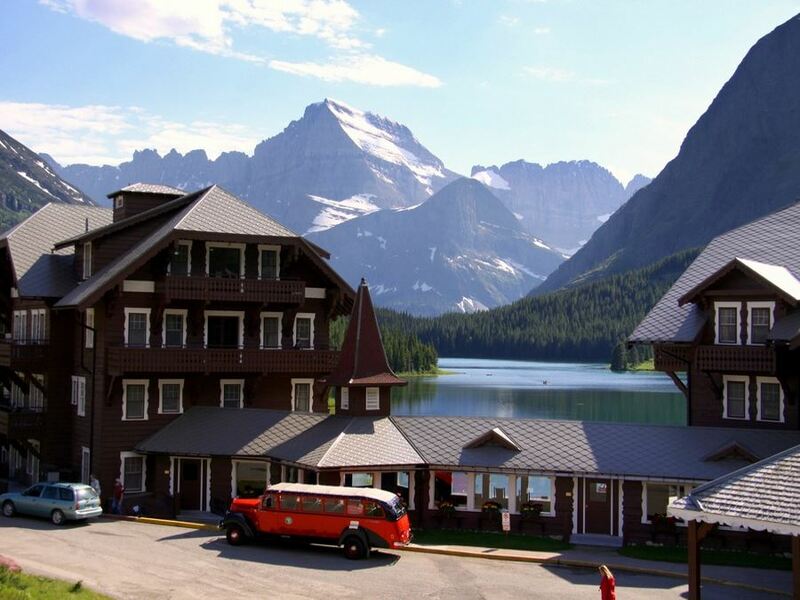 Located on the shores of Swiftcurrent Lake, the hotel was originally built between 1914-1915 by the Great Northern Railway in the style of a Swiss Chalet. It was recently renovated, but still retains an old-world, rustic charm – no TVs or air conditioning here! Located just one mile from Many Glacier Hotel is the Swiftcurrent Motor Inn & Cabins. Guests can choose from a selection of historic room options such as motel rooms and cabins. As well, this motel is located just steps from the Swiftcurrent Pass – ideal for hikers. Six miles west of the St. Mary’s Visitor Center and just a short drive from the spectacular St. Mary Lake is the Rising Sun Motor Inn & Cabins. Here you can choose from a number of rustic cabins and motor inn rooms. Venture further west to the Lake McDonald Lodge and Cabins. 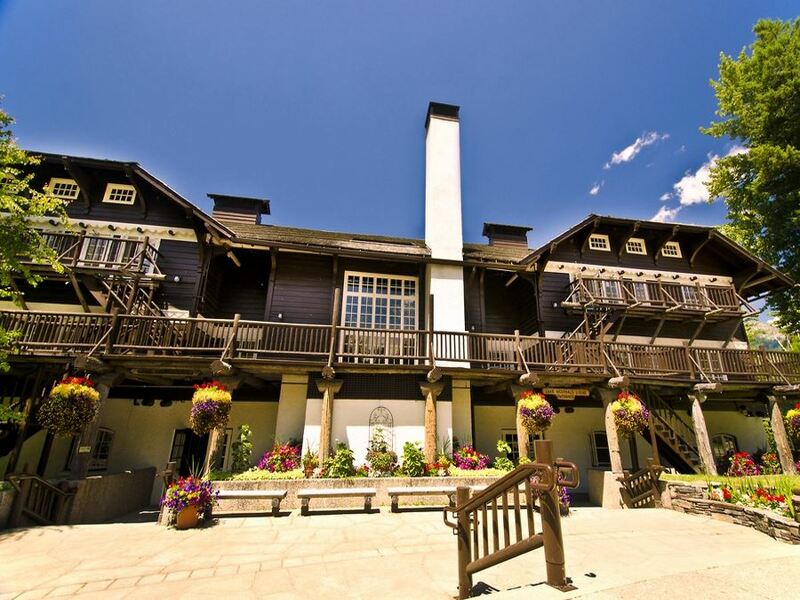 Also built in the style of a Swiss Chalet in the early 20th century, this historic lodge is located on the banks of the beautiful Lake McDonald. Here you can opt for an upgraded suite, a single room or a large cabin suite. Continue a bit further for stunning mountain views at the Village Inn at Apgar alongside the serene shores of Lake McDonald’s southwest end. All the rooms here offer beautiful lake views. For those who want to stay off the beaten path, check out the Sperry Chalet or the Granite Park Chalet. 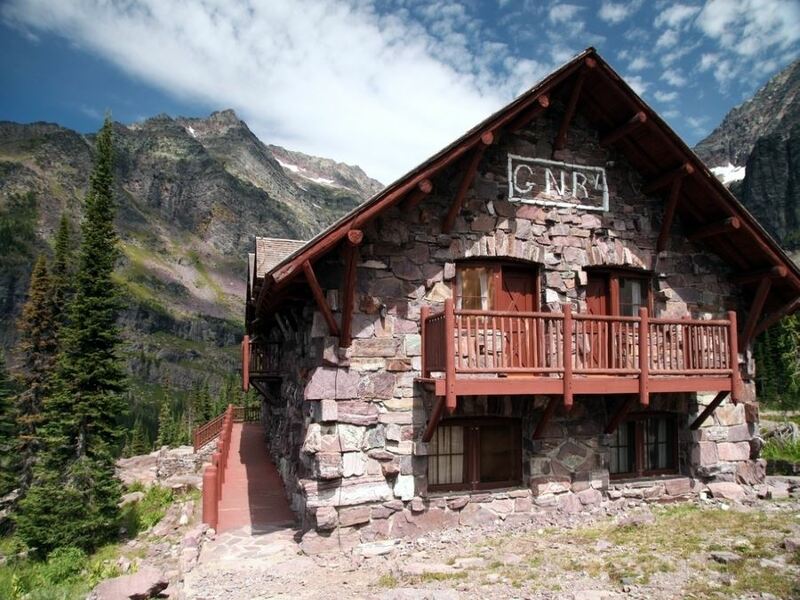 Both offer secluded stays in the pristine wilderness of Glacier National Park, accessible only by trail. As well, Glacier Park Inc. offers a selection of accommodation options both in and outside the park such as the Grouse Mountain Lodge, St. Mary Lodge and Resort, Glacier Park Lodge or the stunning Prince of Wales Hotel. For more budget friendly options check out the Apgar Village Lodge & Cabins or the West Glacier Motel & Cabins. For year-round fun, check out the historic Izaak Walton Inn. Located the border of Glacier National Park in the town of Essex, the comfortable cabins and lodge rooms provide the perfect respite and source of relaxation – with ski passes included in the price of room rental during the winter season. 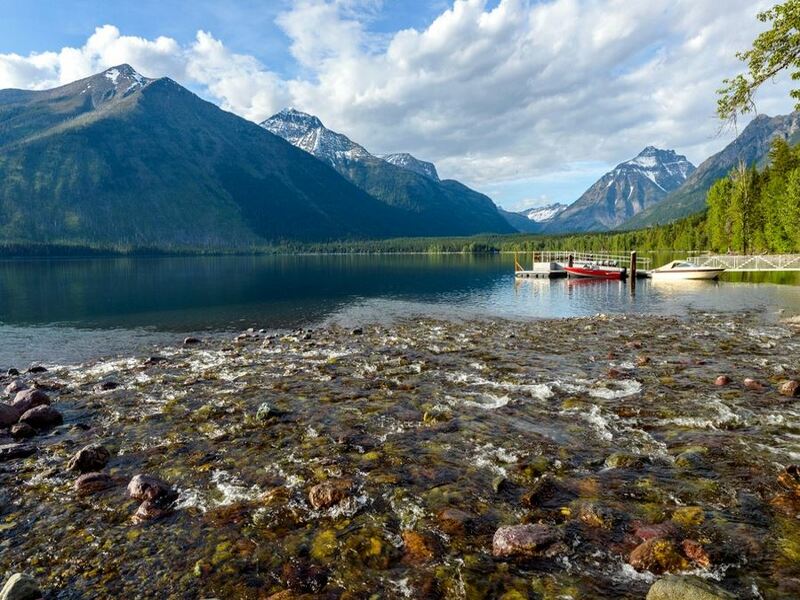 It’s also possible to camp in Glacier National Park, however only on designated campgrounds. Some sites are available for reservation, while the rest are on a first-come, first-serve basis. 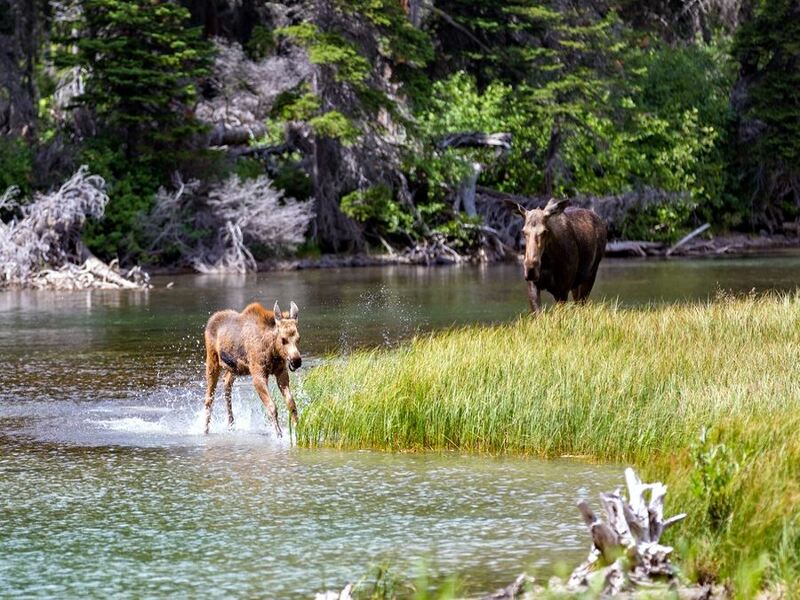 There are a few dining options for those looking to stay within Glacier National Park. Most are located either within or close by a hotel. The Lake McDonald Lodge, for example, boasts three eateries – the highly recommended Russell’s Fireside Dining, focused on local fares using regional ingredients, as well as the casual Jammer Joe’s Grill & Pizzeria or the light fare and drinks as Lucke’s Lounge. At Many Glacier Hotel, enjoy a sit down meal at Ptarmigan Dining Room, grab a quick coffee and bite to go at Heidi’s Snack Shop or enjoy a casual meal as Nell’s or the Swiss Lounge. If you find yourself in Apgar, check out Eddie’s Cafe. This family-owned and operated eatery serves hearty breakfast, lunch and dinner all season long. And in Rising Sun you’ll find the Two Dog Flat Grills, serving comforting, American-style fare. For more variety, head to nearby Whitefish. 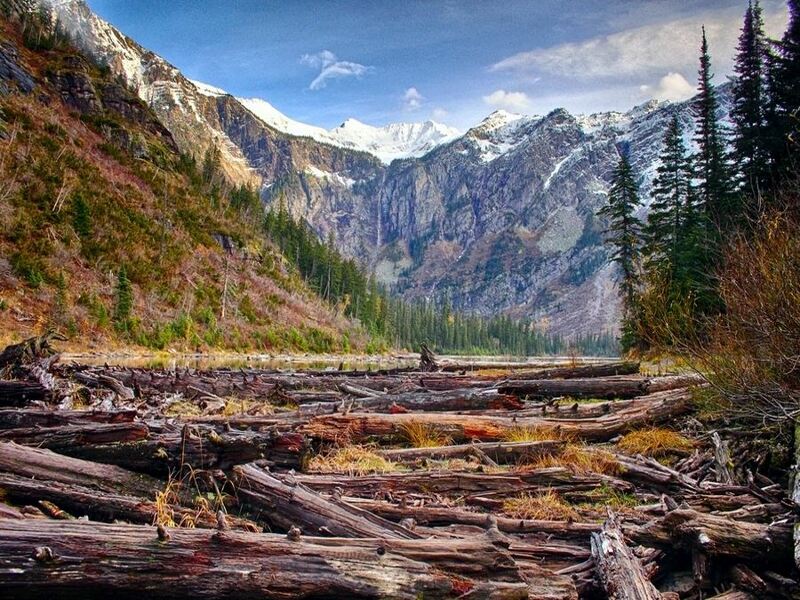 WHAT ELSE CAN YOU DO BESIDES HIKING IN GLACIER NATIONAL PARK? 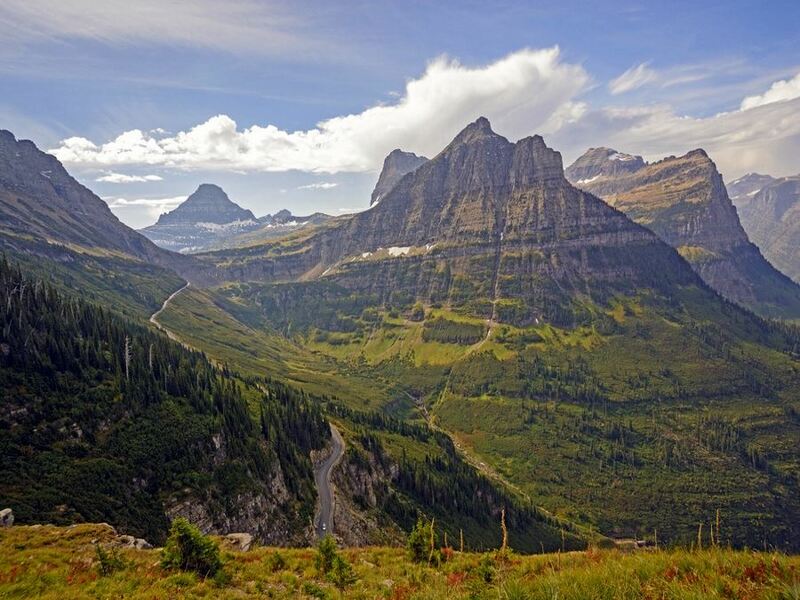 Glacier National Park offers visitors a number of year round activities. During the winter season, you can link up with companies such as Glacier Adventure Guides , which offers a variety of tour options – for cross country skiing, snowshoeing, winter camping and ice climbing. As well, you can explore the backcountry like a true local with an exciting dog sledding tour, a locally-run tour with rescued dogs at the helm. As the snow melts and hot summer sun hits the lower valley, one of the most popular activities is white water rafting. You can choose from a variety of tour options – both single day and multiday – from a number of companies such as Glacier Guides, Glacier Raft Company, Great Northern Resort, or River Wild. For a bit more relaxing water activity check out the fishing and fly-fishing options throughout the many lakes and streams in Glacier. For more information on fishing regulations within the park click here. Another option to explore Glacier is with a guided horseback riding tour. Not only is horseback riding deeply rooted in the history of the area, but it’s also a great way to travel far past where vehicles can no longer access. Water is the number one cause of fatalities in Glacier. The water rarely comes above freezing and slipping and drowning are significant risks. Never walk or play on slippery rocks, especially around waterfalls. Terrain can be very steep and suddenly drop. Never go past the guardrails or protective fencing. Black and brown bears as well as mountain lions live inside the park. Stay at least 300 feet (100 meters) away from these animals and never intentionally approach them. Always carry bear spray. You must use the food storage cables or lockers provided to suspend or secure all food, garbage, toiletries (e.g. deodorant) and cooking equipment. Do not run or jog on the trails – this can be a dangerous way of surprising wildlife. Ticks are most active during spring and early summer. Wear bug spray and check yourself after being outdoors. Entrance fee by car is $30 for a 7-day permit and $20 from November 1 – April 30. For more information about fees, please click here. Pets are not allowed on trails. Law protects all rocks, fossils, horns, antlers, wildflowers, mushrooms, nests and any other natural or historic object within the park. Leave them in their nature setting. Permits are required for backcountry camping and boating – find out more here. Montana has implemented mandatory watercraft inspections and operator testing including hand-propelled craft (like SUP and Kayaks), plan ahead to avoid disappointment.